I´m happy to see the new Trailer of the Whiteroom Productions Crew. It was a special Time filming with them in the Altai Mountains this year. The Tien Shan – better known as “Heavenly Mountains” to the Kirghizian people – live up to their name. These gigantic mountains protrude impressively from the Kyrghizian steppe landscape and offer a vast amount of possibilities for lonesome mountaineers. In Winter 2012 four Austrian skiers departed on a journey of discovery to ended up at the foot of the Tian Shan. Very welcomed by a friendly culture and stunningly beautiful scenery with its wide-open range, pearly-white glaciers and crystal-clear lakes, the guys felt comfortable. And maybe a little bit back in time, when a herd of horses and sheep together with their shepherds sparkled along their entire route into the deep nature. In the same way that this former Soviet state evolved a stand-alone, sustainable tourism, the four Austrian friends approached the lines of the repellent Tien Shan. The adventure started in Altin Arashan, in the east of Kyrgyzstan, and led to the mighty mountains in Ala Archa, south of the capital Bishkek. But soon it became clear that skiing was not the most essential of this trip: too beautiful was the scenery, too interesting and enjoyable the people, who accompanied them, like the porter, cook and warden of their lodging and last but not least too dangerous were the snow-covered slopes. "How foolish is it to set out one's life, when one is not even owner of the morrow." Some words of Stas Oleinikov, the Kazakh warden in Altin Arashan, describing the circumstances of the skiers pretty well. However, the luck should not have left them. In the second part of the trip, the efforts of the guys were rewarded. In the Ak Sai Arena of Ala Archa they found perfect conditions to ski the dreamed-lines in Kyrgyzstan. From a unique bivouac at 4000 m altitude the guys started into the surrounding steep ice walls that had not seen a skier yet. "I am of the opinion that people who spend a lot of time in the mountains are developing certain mental properties like being calm and balanced, unlike the harried pace of life in large cities." So intoxicated by these entirely new impressions the four Austrians got on their flight home three weeks later. 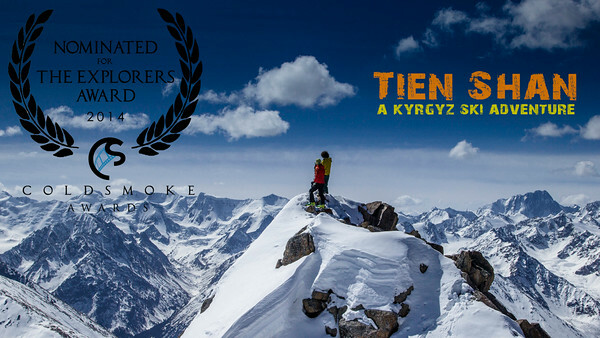 With this little movie we won the St. Anton Film Festival in 2013 and had been nominated for the “Cold Smoke Explores Award”. In Winter 2011/12 I was filming with Simon Platzer and the Whiteroom Productions crew on their first feature length of freeride movies. It was our first joint project and it occurred that it was not just one of the greatest winters in Tyrol since a long time. In fact it was the start of a strong team play and even more the start of glorious friendship. During that winter we spent a lot of days in Tyrolean powder together and also advanced the idea to travel to Kyrgyzstan. In Autumn 2011 Florian Wurm and me got the opportunity to be filmed on a climbing trip. We ended up on the Civetta in the Italian Dolomites. Beeing constantly accompanied by a photographer and a film crew, it was a completely new situation for us. We learned a lot about success and failure and even more important each others personality to the core. I hope you are enjoying the movie of our friends at Timeline Productions.